“The government realised that outsourcing 95 to 98 per cent of everything in technology was getting quite painful. Service quality was low and many projects were getting big and bloated and they were falling apart. There was a need to take back technology and work out what was the best way to implement technology for government,” Cheow Hoe tells CIO Australia. Cheow Hoe is now government chief digital technology officer at the Government Technology Agency of Singapore (GovTech), a statutory board of the Singapore government which sits under the Prime Minister’s Office. The former Ernst & Young partner and head of IT at Citi undertook the role at what was then known as the Infocomm Development Authority of Singapore. 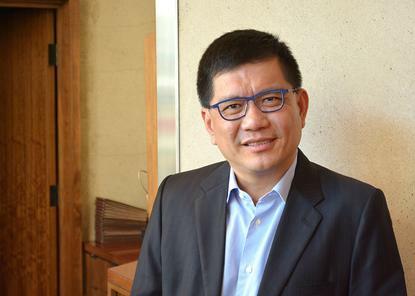 Singapore’s approach to digital transformation is quite different to that of other countries like Australia in the sense that the South-East Asian island city-state employs a large technology team, says Cheow Hoe. His team has grown from seven people at inception to 700 today. “I am in charge of a pretty large team that actually does implementation and development. Most other countries are quite fragmented in the sense that most of the technology resources are spread across multiple agencies and even the government CIO or CTO … that person is really more focused on policy, strategy and other bits and pieces but doesn’t have [resources] to make things happen,” he says. When he arrived at GovTech, Cheow Hoe says his first mandate was to create an engineering capability within the government so it could start building strategic projects again. This involved radically transforming its application development methodology, he says. “For the longest time, the government’s view of building something was a monolithic structure. You go out there, build a system as is, it costs $30 million, it’s a one-off and you’re done,” says Cheow Hoe. Singapore has dumped this ‘big bang’ mentality and is now taking a platform approach to application development – starting small and then creating more impactful projects to demonstrate that it doesn’t take $50 million, five years and 300 people to complete a project. “This caught the attention of many people in the government … once we started establishing credibility, we’d get to do much bigger [projects],” he says. By 2017, Singapore Prime Minister Lee Hsien Loong was so impressed with the way technology projects were moving, that he moved GovTech out of the Ministry of Communications and Information and made it his office’s responsibility. “If you don’t belong to a central agency like the Prime Minister’s Office or the Ministry of Finance, it’s quite hard to influence other agencies to follow your lead … you have very little moral or physical authority to get people to do things. “The prime minister tried to give us more support in driving utilisation across government. He created a committee of five senior ministers … and with that kind of structure, we were able to do a lot more – we were able to influence at a whole of government level. This is the big difference in how we approach it versus many other countries,” says Cheow Hoe. Cheow Hoe believes that one of Australia’s biggest challenges, one that Singapore also needs to deal with, is that larger agencies in particular have their own teams and don’t have a good reason to listen to, let alone, follow what’s being done by the Digital Transformation Agency (DTA). “That’s the reality, you can cajole them, sweet talk them, charm them … but it’s tough. When you’ve got a huge agency, whether it’s the Tax Department or Social Services – these are agencies that probably have hundreds of people doing technology for them. You’ve got to convince them to come to the party – if you can’t, you’ve got a problem,” Cheow Hoe says. The United Kingdom faced the same challenges during the development of the centralised government digital service, gov.uk, under Mike Bracken, he says. Cheow Hoe says Bracken’s intentions were good but again, the government is not monolithic; agencies have their own people and centralising services doesn’t sit well with many of them. “The big [UK] agencies were saying, who the hell do you think you are?” he says. What’s so special about Singapore? GovTech is now providing IT services to 60 out of the country’s 95 agencies. Four years ago, as part of this transformation, GovTech was broken into two parts: firstly, a service division, where the organisation employs people to run technology departments across agencies. “For example, the Ministry of Education, we have probably 100 people in there, including the CIO, who actually reports to GovTech,” says Cheow Hoe. Secondly, a project division builds common products which can be reused over and over again. “One of the things in government is that we build things over and over again and reinvent the wheel 50 times. If you look carefully at government systems, they might look different from a domain point of view but functionally, they are not different,” Cheow Hoe says. GovTech has created the Singapore Government Tech Stack (SGTS), which provides shared software components and infrastructure for agencies to build their digital applications. The SGTS is a key part of the CODEX (Core Operations, Development Environment and eXchange), a digital platform that helps the government deliver better services to citizens faster and more cost efficiently. These days, there’s a single system that enables residents to manage their personal data for online transactions (MyInfo) using a common authentication system (SingPass). This has also been extended to corporations with CorpPass, a corporate digital identity for businesses. These are created using common application programming interfaces (APIs). “So we started building common products that can be leveraged and used by all the systems within government. This is an important step – by doing this you are starting to enforce a more holistic way of building applications and not reinventing the wheel,” says Cheow Hoe. Around 15 years ago, the Singapore government built digital IDs for the entire population, which currently stands at about 5.26 million. “Now, we are building a proper identity construct for all the citizens of Singapore – every government system uses the construct all the way from access to identification to authentication, profiling, consent and delegation. “All of these things string together to form an identity management system that is used throughout the country by the government and also the private sector. This is a purely bread and butter thing that needs to be done if you want to truly digitise a country,” Cheow Hoe says. Taking a leaf out of the UK government’s book, Cheow Hoe and his team created an app called Moments of Life. It’s a single digital platform that provides information and services to parents and caregivers. This platform is being extended to end of life and all the moments in between, he says. Cheow Hoe says many people use government services because they have to, and not because they want to. “Most of the time you don’t have a choice … something has happened, a moment in your life. For example, childbirth. All of a sudden you realise that you need to register the birth, look for childcare services etc. “When this happens, you get frustrated dealing with different agencies. Parents don’t have time for that so we have put all the services together for that moment of life,” he says. GovTech will continue to be responsible for building applications in the future that cut across the entire government. “We have taken the concept of government service from ‘inside out to outside in.’ It’s no longer about agencies. It’s about as a citizen when you come to government, you want a better experience and you don’t want to be running all over the place,” he says. Cutting costs is not the primary objective, adds Cheow Hoe. It’s about using government funds more effectively, although cost savings will be achieved over time. “Initially, we spent quite a lot of money also in terms of redoing legacy infrastructure. For example, to make Moments of Life happen, we had to convert a lot of the old legacy systems into micro services.